The entertaining and scary “Play Dead” is an homage to old séance shows, a modern thrill ride, stunning magical illusions and a dark comedy all in one performance. Co-written and directed by Teller (the smaller quieter half of Penn & Teller) and co-written and performed by magician Todd Robbins, “Play Dead” is currently running at The Geffen Playhouse through December 15. Robbins serves as the guide for the evening and acts as a one-man history of serial killers and séances exposing tricks that mediums often use while integrating his own macabre effects. Spookiness abounds as Robbins launches the show by ingesting a light bulb. At various points in the play the audience is plunged into complete darkness, where luminous specters appear and the audience is surrounded by ethereal sights, sounds and touches of the returning dead. During the play there is plenty of audience participation. “Each show is unique because different people are chosen as part of the performance,” said Teller. 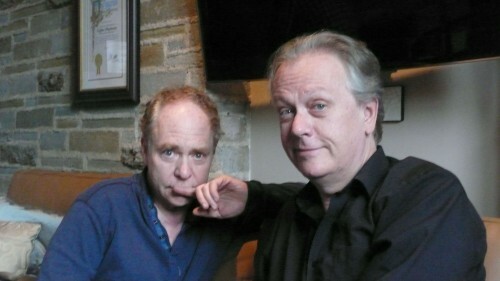 “Play Dead” was sparked from Teller’s and Robbins’ desire to create a séance based play. It originated as Robbins’ “Dark Deceptions” New York fringe show which evolved into “The Charlatan’s Séance.” Teller saw the play and the two began conversations to rebuild the show. The two ran a series of workshop performances in Las Vegas before heading to New York. “The workshops helped us know how invasive we could make the show without doing actual harm to the audience,” said Robbins. Both magicians acknowledge the challenge of balancing thrills and humor. “We also knew that we had to make the experience fun. We knew people enjoyed being scared but we wanted to make sure everyone leaves full of joy,” said Teller. Do they expect LA audiences to differ from audiences in New York? “If you put people side by side in the dark and have luminous towering three dimensional ghosts appearing in their face it doesn’t really matter what region of the country they came from,” said Robbins. Performances are Tuesday – Friday at 8 PM, Saturday at 3 and 8 PM, and Sunday at 2 and 7 PM. Prices range from $57 to $87 and are available in person at the Geffen Playhouse box office, online at www.geffenplayhouse.com or by phone at 310.208.5454. I sat down with Teller and Robbins in-between their rehearsals to discuss “Play Dead,” magic and their upcoming projects. Chef Stefan Richter was born in Finland, but spent the majority of his childhood in Germany where he began culinary training in his early teens. He worked his way through various European and Asian kitchens. 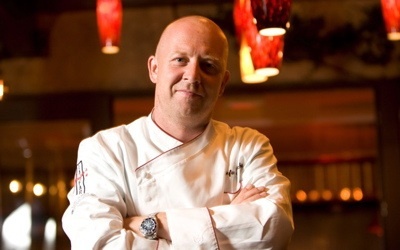 In 1998, he joined master chefs Grant McPherson, Sotta Kuhn, Jacques Torres, Jean Philip Maury, and Marc Poidevin as part of the creative team for the opening of the Bellagio Hotel, Resort & Spa in Las Vegas as Executive Sous Chef. Since then, Stefan has moved to Santa Monica where he reimagined LA Farm into Stefan’s at LA Farm, serving New American cuisine with European flair. Stefan has also opened the restaurant group, Stefan’s Restaurants, which includes a full-time catering and event company and three steak houses in his native Finland. I sat down with Stefan at his restaurant and we chatted about his experiences on Top Chef, his food philosophy, and his upcoming projects – burger restaurants. Born in Vienna, Norbert Wabnig and his family moved to New Orleans in 1955, but returned during summers to Vienna, where he apprenticed in the kitchen of his uncle Franz Blauensteiner’s restaurant, Gausthaus au Stadt Paris. After graduating from the University of New Orleans, Wabnig moved to Los Angeles to pursue a music career with his band Wendell Nightfall Troupe. 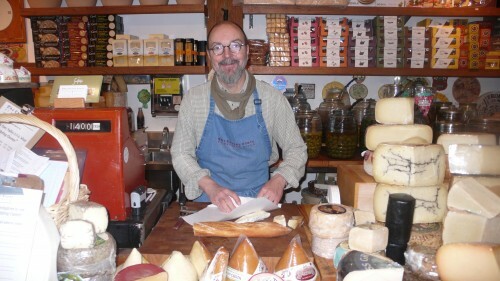 To support himself, he took a job at what is now The Cheese Store of Beverly Hills, which he later bought in 1978.